If you’re pursuing a Microsoft certification in 2017, pay close attention: you may be chasing a soon-to-be-retired exam. In the past 12 months, Microsoft exam and certification pathways have been in a constant state of change with a total of 55 exams and 17 certifications retired. These changes have been driven by a need to modernise and streamline certification pathways alongside Microsoft’s release of core technology platforms, including Windows Server 2016, SharePoint 2016 and Exchange 2016. With 17 additional Microsoft exam retirements planned, make sure you’re not preparing to sit an exam that’s about to be retired. 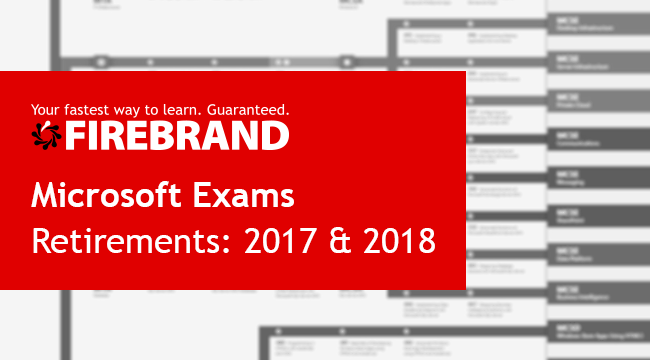 Here are the Microsoft certification exams retiring in 2017 and 2018. 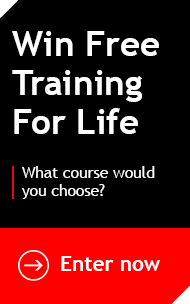 The below exam provided credit towards the MCP Certification and assessed skills on Windows 10. Despite Microsoft retiring the MCSA: Windows 7 certification in 2015, exams 680, 685 and 686 did continue to be available to students. However, time is now numbered for the aforementioned exams. Windows 10 introduced the Universal Windows Platform (UWP), providing a common app platform available on every device that runs Windows 10. Exam 70-354 and 70-355 below certifications formed part of the MCSD: Universal Windows Platform, retired on 31 March 2017 – Microsoft is now removing the individual exams. The MCSD: App Builder certification is the new replacement. Significant changes are in progress for exam 70-534 - Architecting Microsoft Azure Solutions. Because of this, Microsoft are retiring the exam on December 31, 2017 with an aim to introduce a new exam 70-535 as a replacement. The new exam - 70-535 - will be available on November 30, 2017 and you will no longer be able to register to sit exam 70-534 after this date. As the new exam is a direct replacement, your previous certifications will not be affected and you will not be required to recertify.